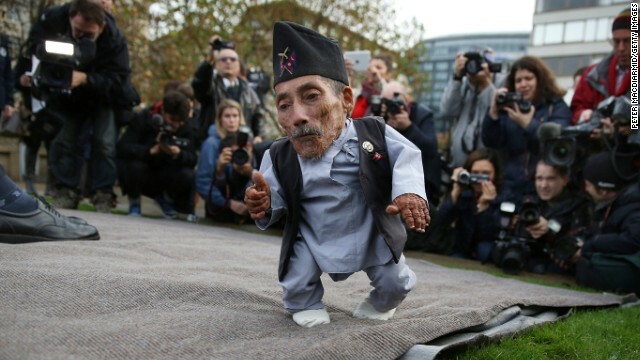 Dangi, 74, is a weaver in a remote village of Nepal. He weighs just 32 pounds. (CNN) -- One stands as tall as a red British phone booth. The other is the height of six stacked cans of baked beans. 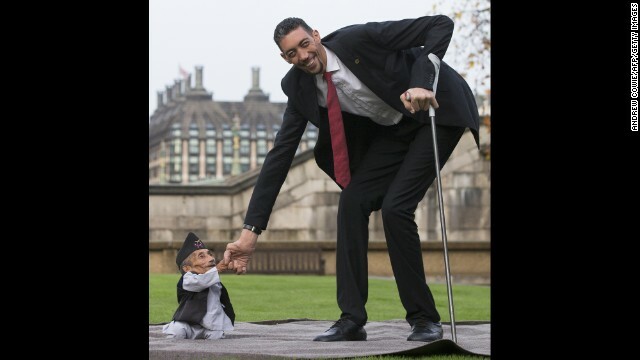 Kosen, 31, is a part-time farmer who measures 8 feet, 3 inches tall and can reach a basketball hoop without jumping. 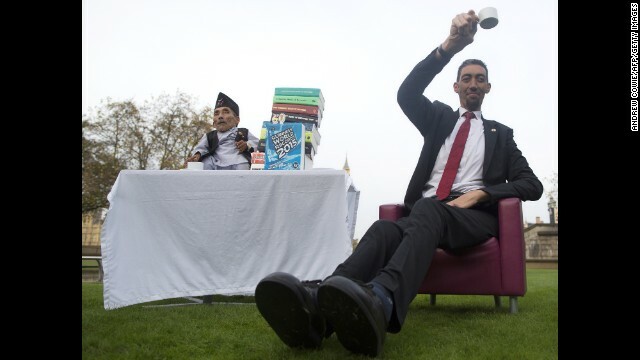 He became the world's tallest living man in 2009, overtaking China's Xi Shun, who stood a mere 7 feet 9 inches. The two men arrived at the event in black London taxis and enjoyed tea and cake overlooking Houses of Parliament and the River Thames. "To be able to finally meet Chandra after all this time is amazing," Kosen said at the event. "Even though he is short and I am tall, we have had similar struggles throughout our lives, and when I look into Chandra's eyes, I can see he's a good man."